This Trophy Case that Rotates is the Perfect Merchandising Showcase! 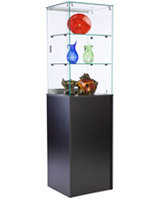 Buy Display Cabinets Online and Save Big! 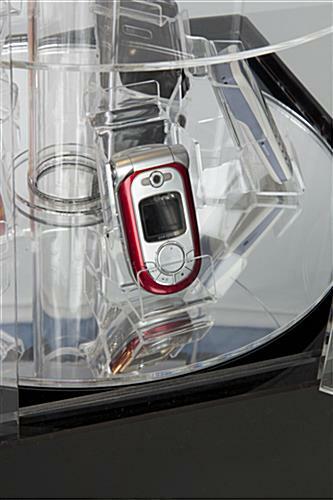 This revolving trophy case, like other acrylic cabinets, has canopy lights to light up the inside. 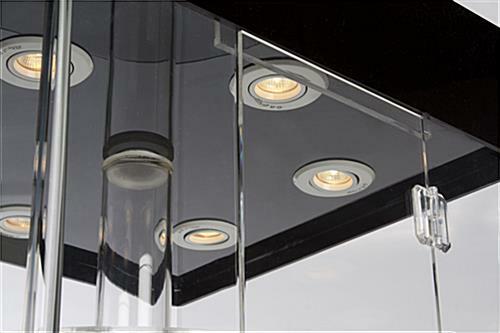 The mirrored underside shelf acts to embellish the lighting. A watch will gleam and jewelry will sparkle. 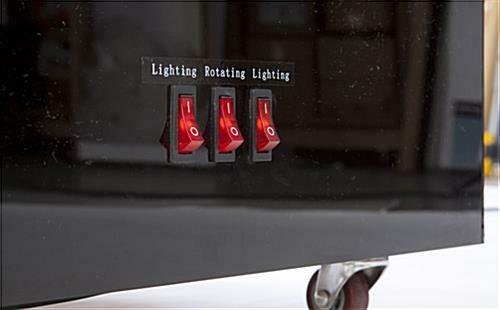 The 20 watt lights in the revolving trophy case that has two doors are usually turned on and off independently from the motor. If product is too delicate, switch the turntable off and the lighting remains on. 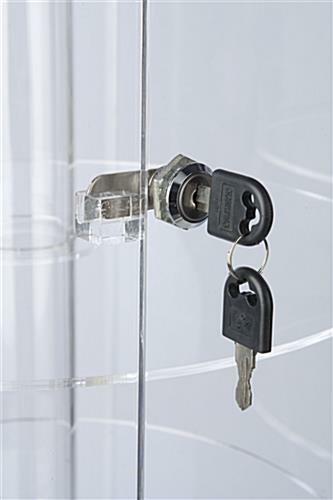 This revolving trophy case that locks provides security for priceless jewelry. Shop owners need not worry about a watch or ring being stolen. Everyone will see that the revolving trophy case with lighting has several of the attributes of a wood finish model. 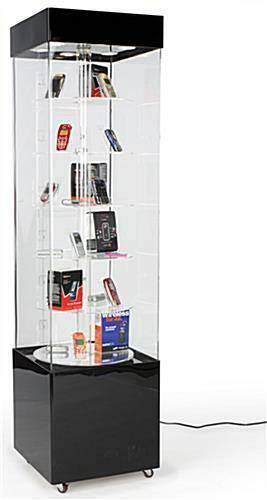 This revolving trophy case is produced from a durable acrylic, making it an ideal option for conventional display cases that have a wood finish. These cabinets are produced with all the integrity of a higher priced model. Unlike cabinets with a wood finish and tempered glass windows, these acrylic models come at a less expensive price. 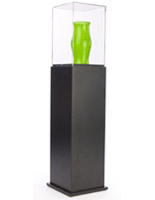 The trophy case is also lighter than standard display cases of a similar dimension. 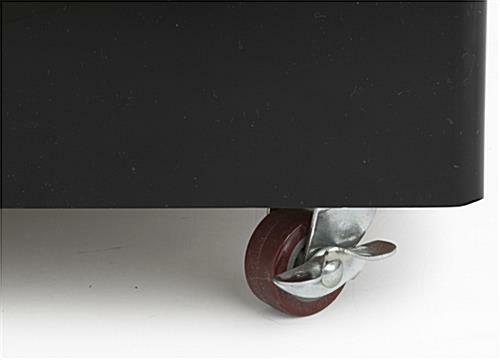 The special characteristic of this cabinet is the 6 motorized shelves. None of the wood finish versions have on the website has this characteristic! People shall be instantly attracted to the spinning items inside the rectangular revolving trophy case. Two lockable doors keep the products inside safe. 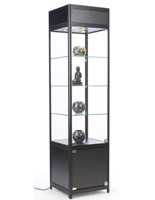 This curio cabinet, revolving trophy case, is suitable for shops providing jewelry. Every shelf is spaced 8" apart, which permits lots of room for valuables. 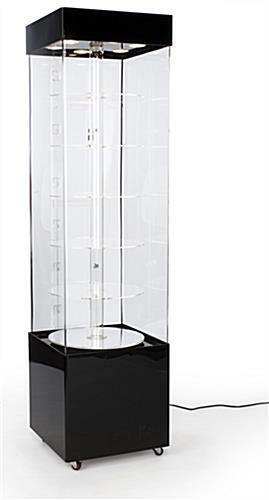 This revolving trophy case that is 72" high is superior for promoting watches, figurines, and much more!